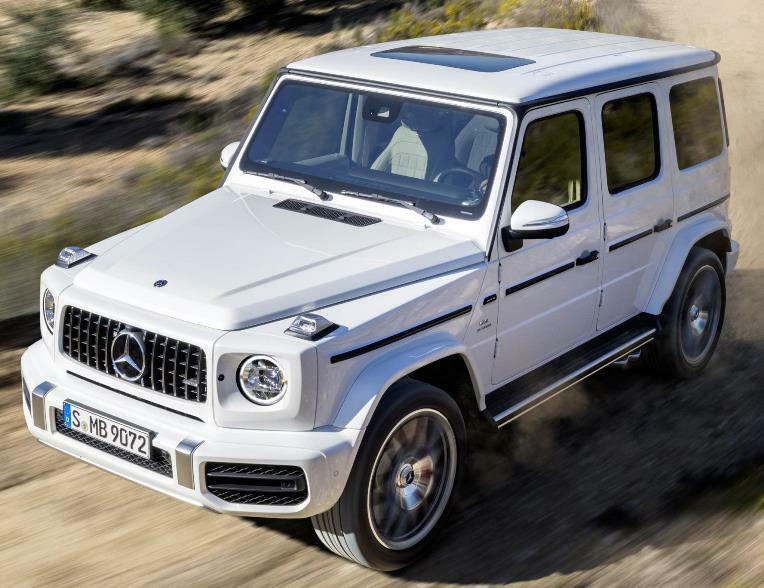 The new 2019 Mercedes-AMG G 63 is powered by a 577 horsepower Handcrafted AMG 4.0-liter V8 biturbo engine mated to the AMG SPEEDSHIFT TCT 9-speed transmission and features AMG Ride Control sports suspension, AMG DYNAMIC SELECT with five drive modes & three additional off-road modes, AMG performance exhaust with adjustable flap system and distinctive side pipes, and a completely new interior featuring COMAND® Navigation, 12.3" central display and 64-color ambient lighting. The 2019 Mercedes-AMG G 63 starts at $148,495 (including $995 destination and delivery) in early 2019. The 2019 Mercedes-Benz G 550 with a 416 horsepower 4.0L V8 biturbo engine is currently available starting at $125,495.